The best pizza is cooked in the hottest ovens—sometimes reaching 1,000 degrees. Some summer days feel like you’re the thin crust in one of these quadruple-digit wood-fired brick ovens, and all you want is a little shade. 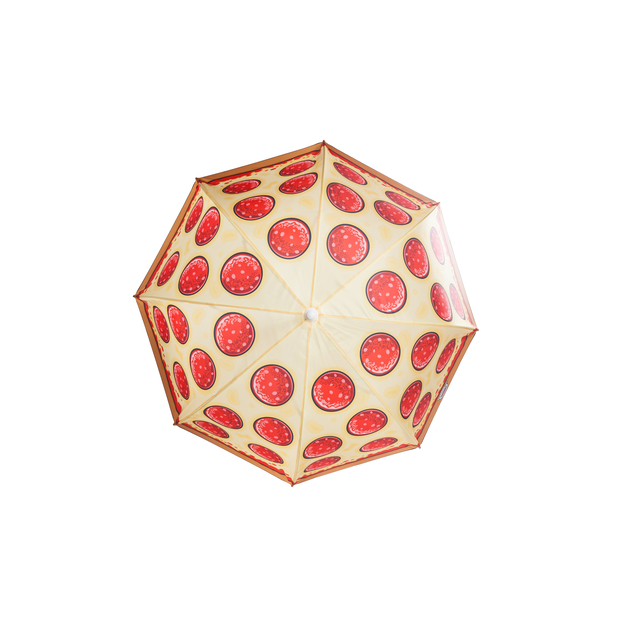 Enter our Pepperoni Pizza Beach Umbrella! Because we couldn’t stop at the Pool Float and Beach Blanket —we had to conquer the trifecta of fun-in-the-sun. 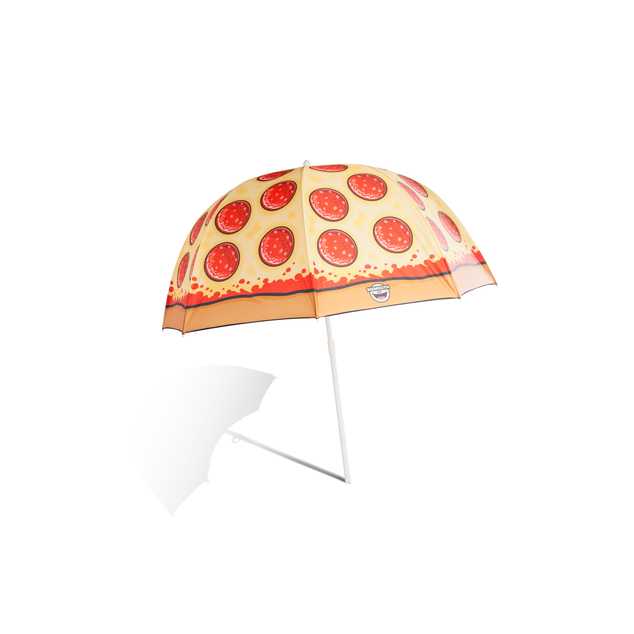 Our Pepperoni Pizza Umbrella gives you an XL slice of shade with its unmistakable 4-foot print. 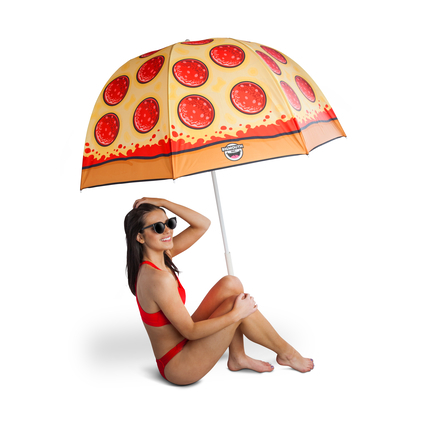 The umbrella is adjustable in height too—up to 6 feet—so you can sit, lay, perch, or pass out in a shady food coma regardless of your height. The tip features a sand spike that, when inserted into the soil or sand, keeps it upright and hands free.